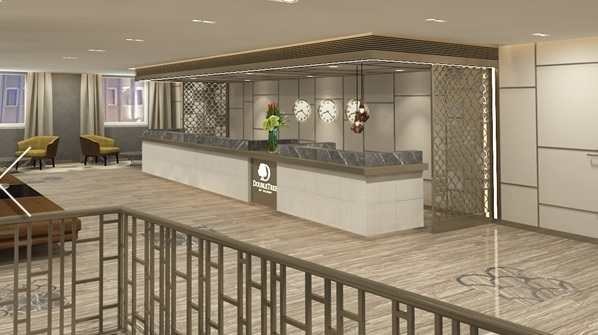 Hilton Worldwide has announced the opening of DoubleTree by Hilton Istanbul Sirkeci. The upscale hotel joins ten DoubleTree by Hilton properties already open in Turkey and 70 DoubleTree by Hilton properties open across Europe. Boasting 113 modern guest rooms and suites across six floors, the fully refurbished hotel is located in Sirkeci, a neighbourhood in Istanbul’s Historic Peninsula just a short stroll from some of Istanbul’s major attractions such as Hagia Sophia, Blue Mosque, Topkapi Palace and the Grand Bazaar. The hotel is also adjacent to Gulhane Park, a large outdoor area, and a short walk from the Eminonu neighbourhood where travellers can explore the Egyptian Spice Bazaar, the New Mosque and the shopping areas. The hotel is well connected by public transport. The Sirkeci and Eminonu ferry docks, which can be used to cross the Bosphorus Strait and travel to the ‘Asian side’ of Istanbul, are within walking distance. An elevator entrance to the Sirkeci Marmaray train station is across the road from the hotel and a city tramline stop is just 100 meters away. “DoubleTree by Hilton Istanbul Sirkeci provides visitors with the welcoming comforts and hospitality common to all DoubleTree by Hilton hotels, starting with a warm chocolate chip cookie at check-in and continuing with excellent service throughout a guest’s stay. “The hotel’s modern, spacious guest rooms, prime location and excellent public transportation links make it a top choice for travellers to Istanbul,” said Dianna Vaughan, global head, DoubleTree by Hilton. The hotel features a wide range of dining options including the rooftop restaurant, Bosphorus Terrace, which offers à la carte dining paired with stunning views of Istanbul. Guests can also savour the taste of traditional Turkish cuisine at Gulhane restaurant, have a snack or cocktail at the Prince Coffee & Bar, or order from the 24-hour room service. A spa featuring a Turkish steam bath with a private area, massage rooms, a sauna, snow fountain and shock shower, make it a great venue for guests to relax and unwind. A modern, 24-hour fitness centre is also on offer. For business guests, there are two flexible meeting rooms with a foyer area, providing an ideal space for pre-event receptions. “We look forward to welcoming guests to this beautiful, fully refurbished hotel and delighting them with DoubleTree by Hilton experiences,” said Hulya Akgun, general manager, DoubleTree by Hilton Istanbul Sirkeci.